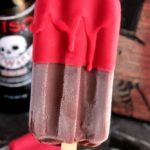 Dip homemade popsicles or store bought ones into this Vampire Magic Shell – Bloody Magic Shell for a hauntingly special treat! 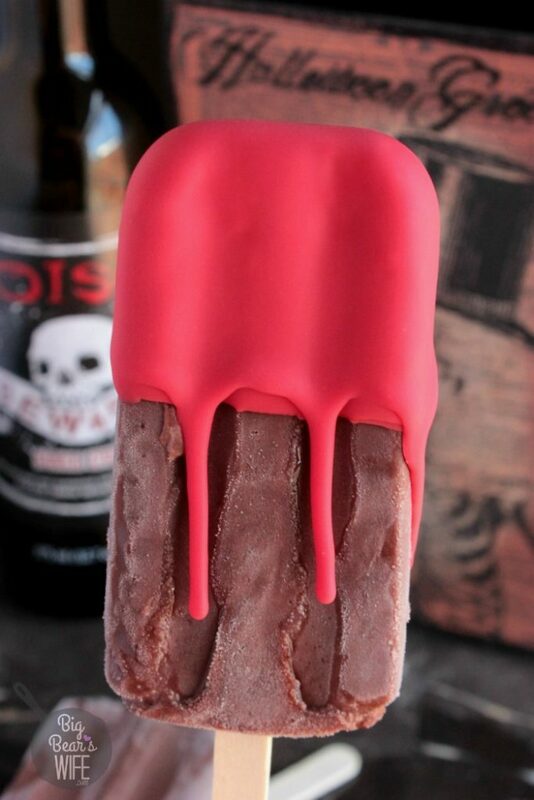 Or drizzle it over scoops of ice cream for an eerie evening dessert! Oh and the best part about Halloween and October? We went to Disney World to celebrate Halloween this year! Ok, well we didn’t actually go on Halloween, we went a few weeks before Halloween. However it was still awesome to see all of the Halloween decoration out! I’m sure I’ll be chatting more about that later (ok YOU KNOW I’ll be chatting more about that later) but let’s talk about this magic shell! It’s the magic shell that’s just perfect for Halloween! Why? 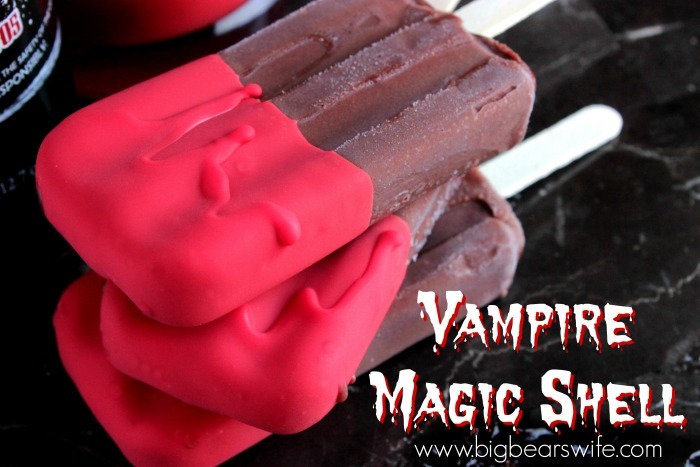 Well because it’s Vampire Magic Shell – Bloody Magic Shell! Yeah, I could decide on if I should call it, Vampire Magic Shell or Bloody Magic Shell for Halloween so I just went with both. You know what magic shell is right? 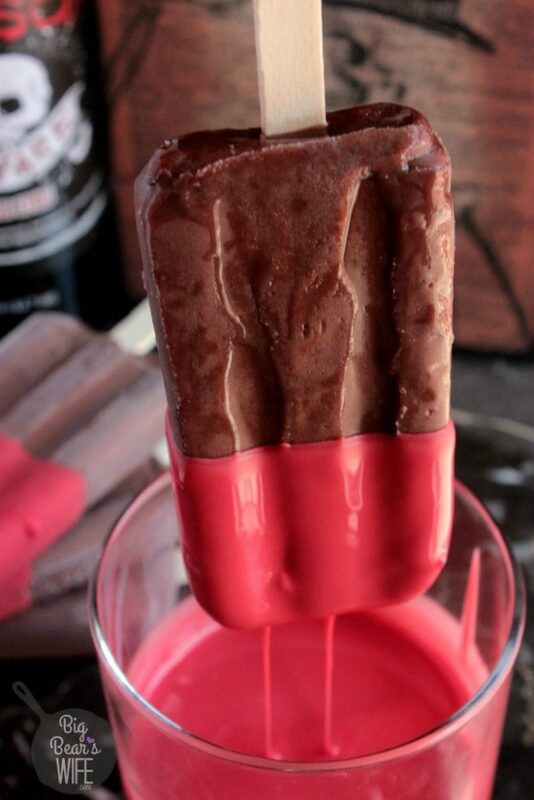 The chocolate coating that hardens when it touches cold ice cream? Well now you have a Halloween version! 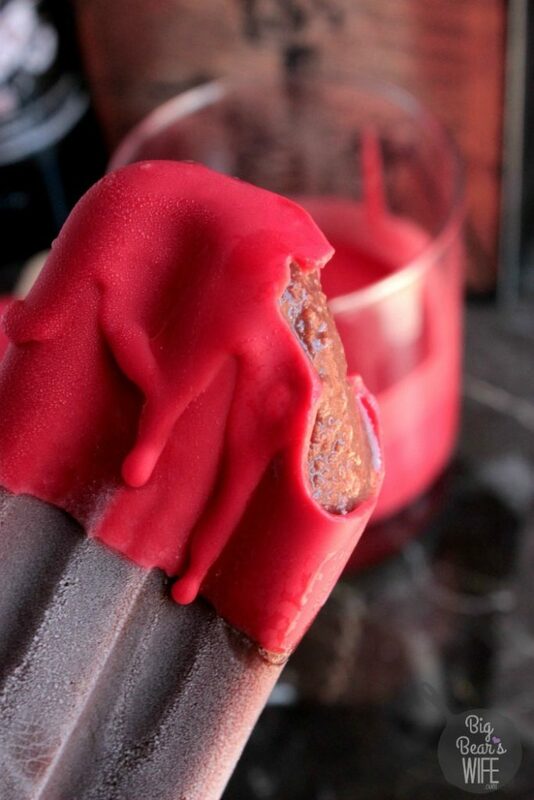 It’s still hot here in the south for Halloween most years so I can totally see myself enjoying one of these fudgesicles that’s been dipped in magic shell! I tried a few different options before I found the one I liked, the one that I’m posting today. I tried out a few recipes that called for vegetable oil, I tried some that called for cake mix and a few that called for tons of food coloring. Some were ok and some were downright weird. I had high hopes for the red velvet cake mix one I tried out but it fell short and turned into more of a dried blood color than the bright red I was going for. The food coloring tries always ended with way too much food coloring that only yielded a weird pink and the vegetable oil ones just didn’t harden like I wanted it to. So then I turned to coconut oil and the red melting candy wafers that I had in the pantry. I had almost given up my idea when I spotted the bag of red chocolate in the pantry! I’m so glad that it caught my eye because it was exactly what I needed for this! 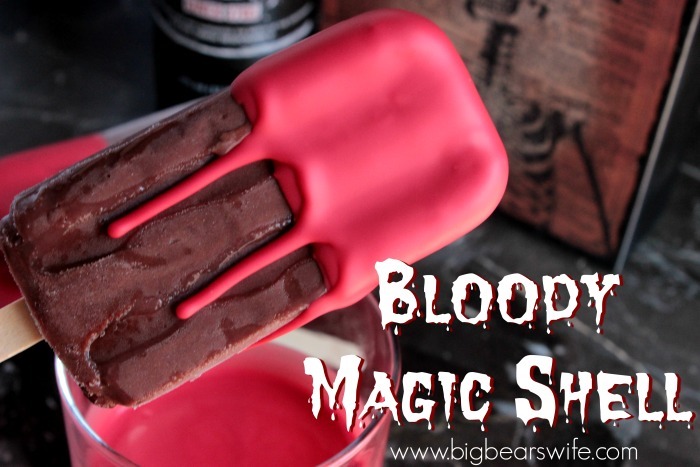 So whip up some Vampire Magic Shell – Bloody Magic Shell this evening for your little vampires and monsters. Side note! 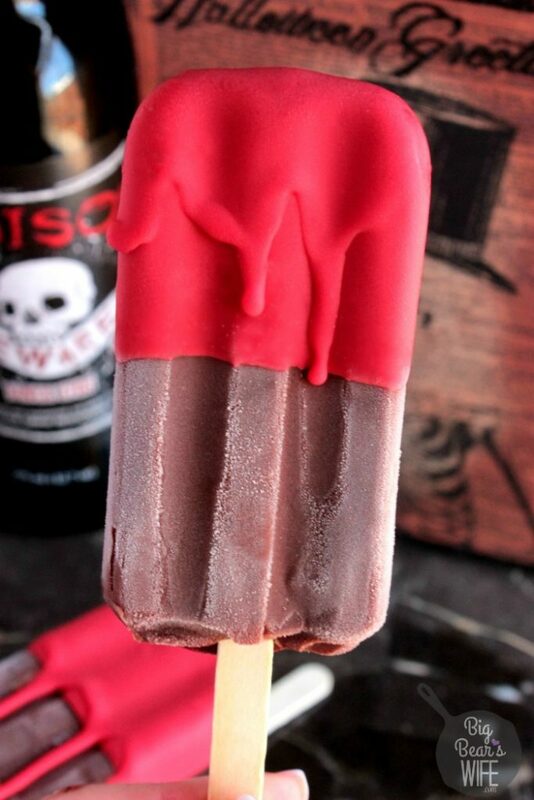 If you’re looking for the cherry magic shell like Dairy Queens, just make this and add in a little oil based cherry candy flavoring. 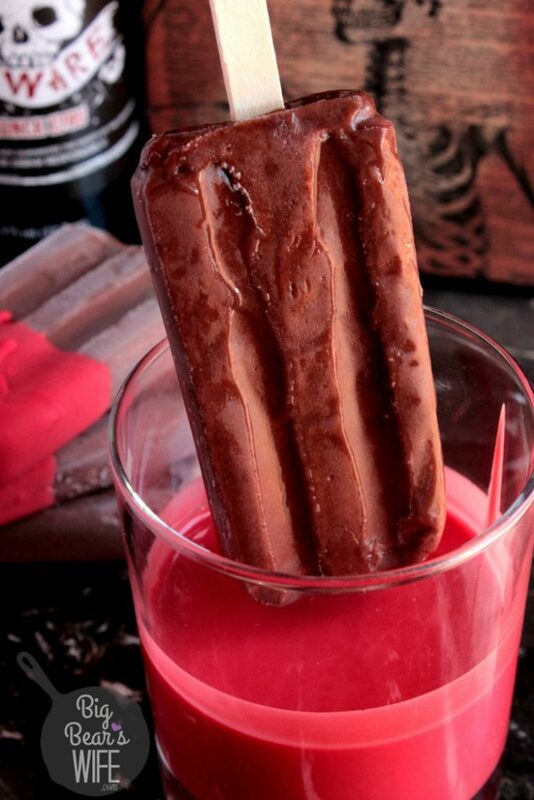 our candy melts and coconut oil into a medium microwave bowl. Heat in 30 second burst, stirring after each burst, until melted. Pour candy melts and coconut oil into the top of a double broiler, add water to the bottom pot of the double broiler and melted on medium -low heat until melted. 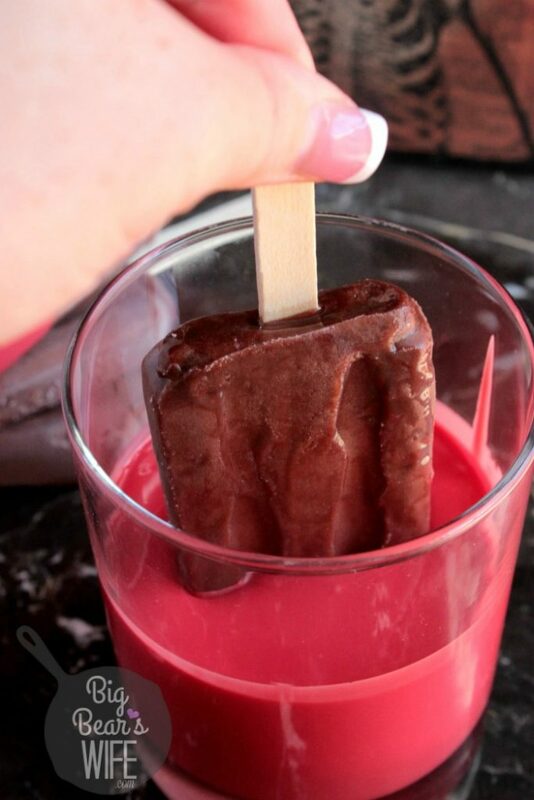 Stirring as it melts. THIS MAGIC SHELL WILL HARDEN ONCE COOLED! TO USE - REMELT IN MICROWAVE OR IN A HOT WATER BATH ON THE STOVE. Do not let water touch magic shell!